Delve can be used to manage your Office 365 profiles, and discover and help organize information interested to you in that point in time across your office 365 tenant. One thing to remember is that Delve does not change permissions, the user will only see documents which they already have permissions to. They will not be able to view any other documents of other people. Learn more about privacy. 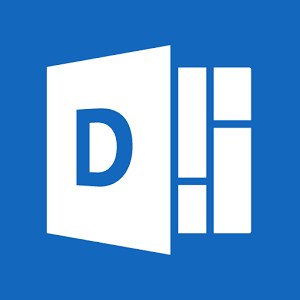 Delve can be accessed using the following link delve.office.com or launch the Delve app from the Office 365 app launcher. To find out which documents someone is working on, you can click the person’s name to see which documents they are working on. You can add a document to your favorites or board to easily get back to it later. Yes, all documents are safe, as mentioned earlier in the post Delve does not change any permissions. You and only you can see your private documents in Delve. Another thing to note is that no one else can see any of your private activities, such as which documents and emails you have read or which Skype for Business conversations you’ve had with others. Others can only see if you have modified a document which they have access to. No documents is every stored in Delve, If its required to modify permission then this will have to be done from where the document is stored, such as OneDrive or SharePoint in Office 365. Note that documents are not stored in Delve. If you want to change permissions on any of your documents, you can do this from where the documents are stored, such as OneDrive for Business or SharePoint in Office 365. What you see in Delve is different from what other people see. You can see your private documents and other documents that you have access to. Other people can see their documents and documents that they have access to. How to change who has access to a document. From the Delve console or my profile, I will select a document and then click on … dotes and then click on Who can see this? This will redirect you to where the document is located and also show you who it has been shared with. To summarize what is Delve, Delve is an Office 365 App which can be used to view and organize all documents in one location.